I was ahead of the curve last year, jumping on the value of the Tampa Bay Bucs as an under-the-radar money team in 2016. They proved me sage, finishing 9-7 on the season and easily eclipsing their 2016 Las Vegas season win total. Now the word is out on the Bucs. Some splashy free agent signings and a tour on HBO's "Hard Knocks" has cast an even brighter spotlight on this squad. And, much like the Raiders last year, the Buccaneers enter the season as the Trendy Sleeper Team that seems to be on the minds of every sports bobblehead across the country. 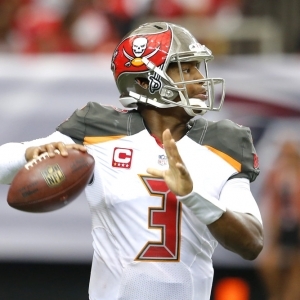 Can the Bucs live up to the hype? Perhaps. Offensively, this team has a similar makeup of last year's Raiders team: a young, talented quarterback on the verge of breaking out, two star wide receivers and just enough running game to keep teams honest, and an aggressive coach looking to seize the moment. Defensively, Mike Smith will again try to make lemonade out of lemons. Gerald McCoy is one of the best players in football, regardless of position, and starting linebackers Kwon Alexander and Lavonte David provide leadership and ability. Tampa Bay brought in J.J. Wilcox in an attempt to bolster the secondary, which has been a constant weakness for this team. Overall the starting 11 is passable. But Tampa Bay has zero depth at any of the three levels. Smith deserves a lot of credit if he can get this unit to finish above last year's No. 23 total defense ranking. Tampa Bay won road games against playoff teams Atlanta and Kansas City last year and nearly knocked off two other postseason performers (Oakland and Dallas). But the Bucs also gave up 37 points in a horrid loss to the pathetic Rams and they were actually outgained on the season. A lot of that erratic play can be traced back to Winston. The rest can be attributed to the defense. A lot of the optimism surrounding this team revolves around offseason acquisitions like DeSean Jackson and O.J. Howard. But if the Bucs are going to take that next step it will be a result of maturity and development of homegrown players like Winston, Vernon Hargreaves and Doug Martin. Tampa Bay's offensive line will be the bellwether for this team. If they play better it will help the running game and that should, in turn, help keep the pressure off the defense. That's a lot of ifs. And in a tough division like this one ifs might not cut it. This one will be close, but I would either stay away completely or play the Bucs 'under' this season with expectations for a major step forward in 2018.